Like millions of people on antidepressants, weight gain is a depressing side effect of what can otherwise be an extremely effective remedy for depression. Weight gain can range from several pounds to 30, 40, or even more. Sometimes the weight gain happens immediately and other times it occurs after 6 months or a year after starting pharmacologic therapy. It's not clear why these medications lead to weight gain, but patients seem to experience the following similarities: constant obsession about food, particularly sweet and starch carbohydrates, excessive thirst resulting in consumption of calorie-laden beverages, and fatigue that minimizes the amount of daily movement. The drugs also disrupt sleep, which leads to overeating in an attempt to boost energy levels. The common result is endless consumption of carbohydrate foods, many of which are loaded with fat. Gorging on ice cream, chips, pizza, cookies, cakes, crackers, etc., leads to weight gain and a frustrating inability to lose the weight. 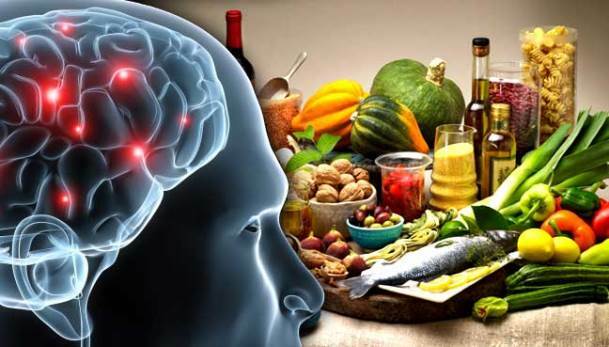 What is clear is that these patients can lose weight by boosting their brains' natural serotonin levels through the proper diet. The secret lies in eating the right carbohydrates in the right amounts and at the right times. Carbohydrates? Since carbs are the foods these patients crave, shouldn't they be avoided because they lead to even more weight gain? The answer is a definite NO. Nature gave everyone, whether they're on antidepressants or not, a built-in appetite control mechanism mediated by the brain chemical serotonin that, when activated, helps control cravings, mood, and weight. Unfortunately, physicians often tell their patients to avoid carbs because they are perceived as fattening. For patients on antidepressants, steering clear of carbohydrates only exacerbates their cravings and the tendency to binge because avoiding carbohydrates further prevents them getting enough much-needed serotonin into their brains. Here's why. When sweet or starchy carbohydrates are eaten a series of biochemical reactions mediated by insulin occur so that serotonin can be made. Fat slows down the process and protein interferes with the brain's ability to make serotonin. The problem for patients on antidepressants is not that they are eating carbohydrates, but that they are eating carbohydrates loaded with fat. Not only does fat add excess calories, it also leads to a feeling of sluggishness, which doesn't help their fatigue. Also, many patients eat carbs along with or immediately after eating protein, which interferes with the brain's ability to make serotonin. It is an incredible relief for patients to eat the carbohydrates they so crave in a way that gets their eating under control so they're not thinking about food all the time. They can lose the weight gained on antidepressants while still being able to continue the medications that are effective for their mood disorders. This was discovered decades ago in laboratory and clinical research studies at MIT. The discovery was clinically tested on hundreds of patients who lost weight successfully following these principles. Patients on antidepressants who followed this type of eating plan lost weight just as easily as those not on medications. Dr. Frusztajer suggests "flipping the meals." Eat meals that include protein for breakfast and lunch, and eat carbs and vegies, not protein, for an afternoon snack and dinner (use whole grains). Boosting serotonin by eating sweet or starchy carbohydrates at the right time in the right amounts will shut off appetite, cut cravings, and restore good moods. Additional drugs or supplements or herbs aren't necessary. "After gaining 45 pounds in 2 years after starting antidepressants, I was hopeless and thought I was doomed to cycles of bingeing and restraining my carb intake," Ginnie, a 54 year old nurse described. "I felt so out of control and was tempted many times to stop the medications that helped my mood but left me tired and obsessing about food. Meantime, I kept eating the equivalent of an extra meal in cereal, cookies, chips, or muffins in addition to my generous portions at regular meals. When I learned about eating carb snacks and meals to control my appetite, I was skeptical because those foods were always what I binged on. But I was so desperate I was willing to try anything. At least I'd be able to eat what I was craving. On the first day, I started with graham crackers as a snack an hour before dinner and immediately I noticed they took the edge off my appetite, and I didn't need to eat so much for dinner. I was thrilled!" Ginnie was even more thrilled later when, after following the serotonin-boosting diet, she was back down to her pre-medication weight and still getting the benefits of her medication regimen. It's amazing but true: The right carbs during the day make the pounds go away. DT.SHARAN SAYS : Talk and venture out what you want to happily without any mean intention.